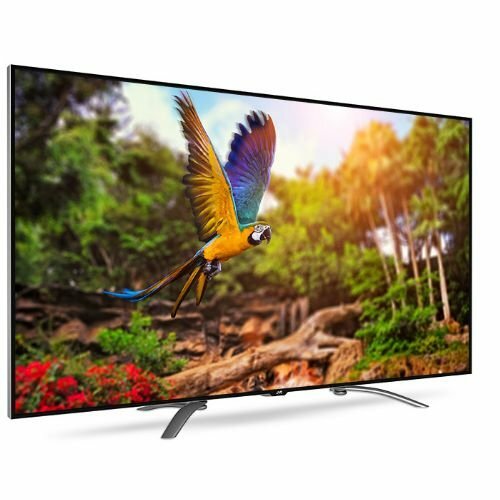 Whether this is your first HDTV or you're well-seasoned in the world of HD entertainment, you haven't seen anything yet. 4K Ultra HD resolution creates a picture four times more detailed and lifelike than even a 1080p HDTV. CrystalMotionPro 240 ensures even the fastest-moving sports and action scenes are presented in stunning clarity, while XinemaSound 3D delivers incredible surround sound effects, booming bass, and crisp dialogue. From JVC. Not in the mood for what's on TV? Simply pop the Roku Streaming Stick into the MHL port of the HDTV, and prepare to be amazed by your options. Once connected to Wi-Fi, the Roku Stick streams content like movies, shows, and music right to your screen. Just use the TV's remote to access over 1,000 entertainment channels, including Pandora, YouTube, Hulu Plus, and Netflix. From Roku.